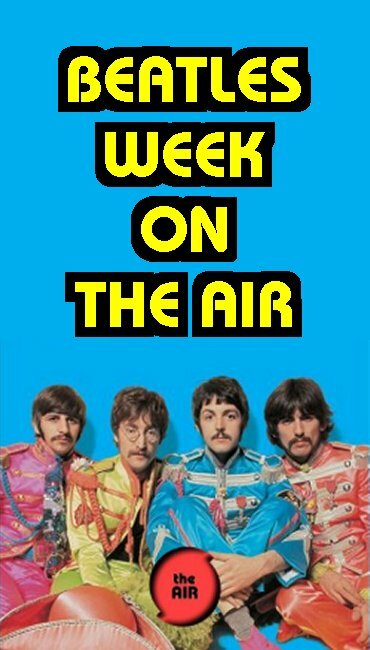 Beatles Week On The AIR! Tuesday, Radio Free Charleston will jump into the Beatles fray with an hour of Fab Four tunes performed by top local musicians, including Casey Litz of The Company Stores, Melanie Larch and Erin Elizabeth, who will all be part of Friday’s big show. You’ll also hear Beatlesongs by Go Van Gogh, Under The Radar and Captain Crash and The Beauty Queen, plus rehearsal recordings of Rubber Soul from 2009 and 2011. You can hear the Beatles episode of RFC Tuesday at 10 AM and 11 PM on The AIR. This very special episode of Radio Free Charleston will also air in place of Beatles Blast on Wednesday, and will be replayed several times this week. We got quite a surprise when we told our colleagues at Haversham Recording Institute about Beatles Week. Dexter Checkers, who had stepped down from doing Ska Madness (the show has been in re-runs pending it’s exit from The AIR) got out of his sickbed and recorded a new intro for an hour of Ska Beatles covers from the famous Trojan Records Beatles Box. You can listen to Ska Madness pay tribute to The Beatles at 2 PM. At 3 PM you can hear Swing and Jazz covers of songs by The Beatles on The Swing Shift. Artists like Sugarpie and The Honeymen, Ella Fitzgerald, Ramsey Lewis, Tito Puente, Sarah Vaughn and more put a new beat into the Beatles’ music.